Britain & Latin America Logistics Ltd.
We are the specialised shipping company you contact when you need to move cargo from or to Latin America. We work passionately to assist exporters and importers from both the UK and Latin America through our range of transport/customs services. Our business is exclusively focused on shipments between these two markets. The company is based in London and it is from our installations in this city that we oversee and coordinate all shipments. This gives our customers the advantage of a single point of contact they can easily consult from beginning to end during the shipping process. 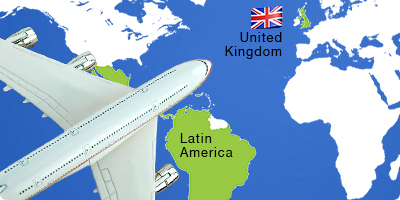 Our logistics service coverage extends across the whole of the UK and more than 20 countries in Latin America. •	Britain & Latin America Logistics is committed to building intercontinental trade channels that positively impact the well-being and progress of lives both inside and outside the company. We are devoted to assist and inspire, guided by our core values and honest approach to business. •	Customer satisfaction and flourishing of trade between Britain and Latin America are our motivation to provide a friendly and efficient service every time.